Welcome to day 29 of 31 days of 15 Minute Craft Projects. I’m sorry I’m so late today, it’s been a rough one. I have a couple more hours in the day where I live so technically I’m still okay. Tomorrow’s post will be earlier in the day so you have more time to work on it if you like. Today we have a very simple craft that actually takes about 5 minutes. 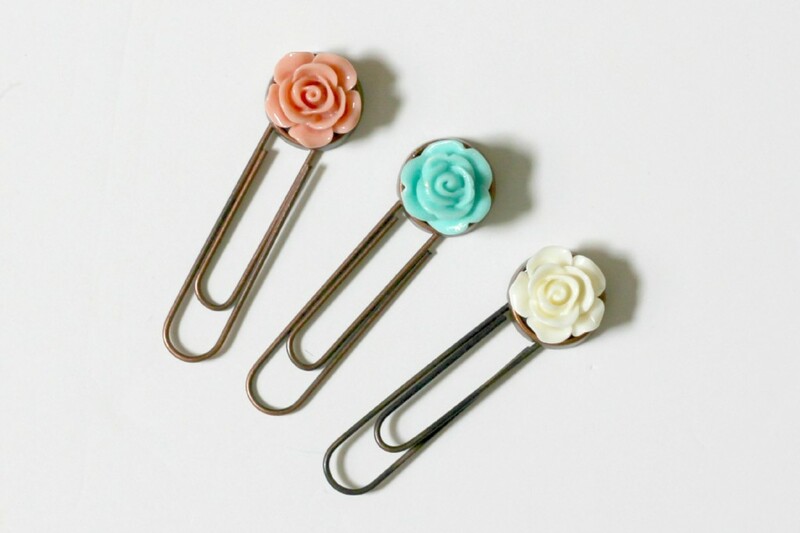 These Decorative Paper Clips are perfect in the office but are also great for book marks or even holding pictures on a ribbon board. Um, this is super simple. Use E6000 glue and adhere the 2 pieces together. This glue takes a couple hours to dry but it’s super strong and it’s my preference of glue to use on jewelry pieces. 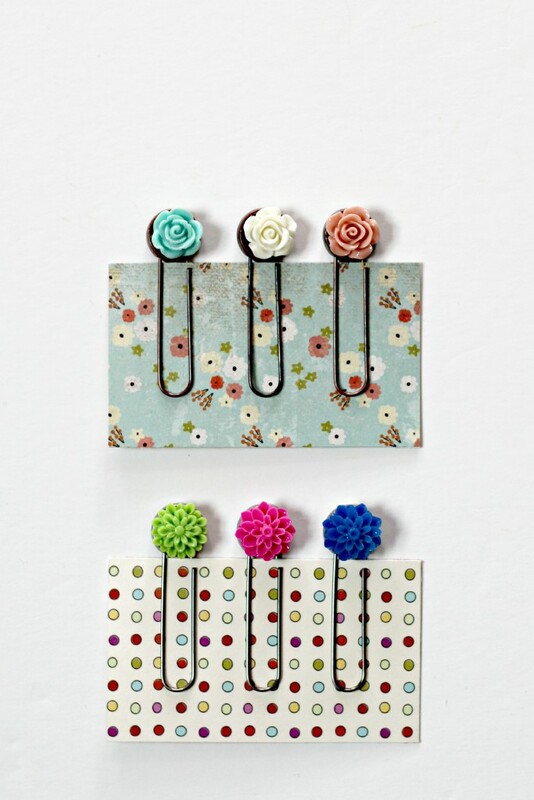 I made a set of bright flower paper clips. 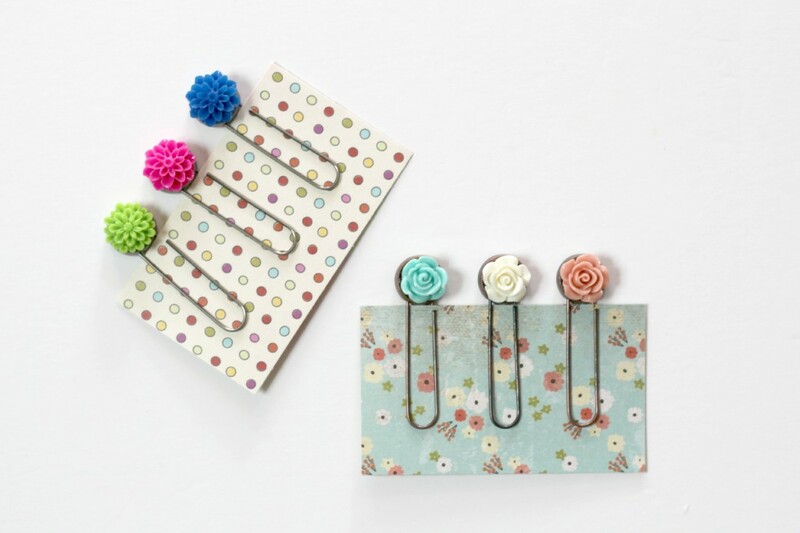 And a set of pastel flower paper clips. The finish on the clips is slightly different too. I’m giving some to my daughter but they would also make great little gifts. 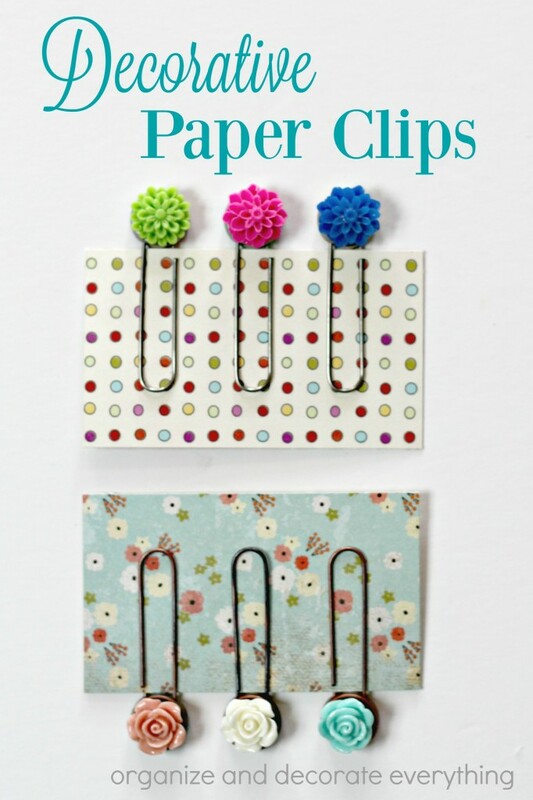 Cut a small piece of scrapbook paper to hold the clips. Give them with a book to a reader or make a care package full of supplies to sent to your college student. They would be a great stocking stuffer or be great included in an Easter basket. 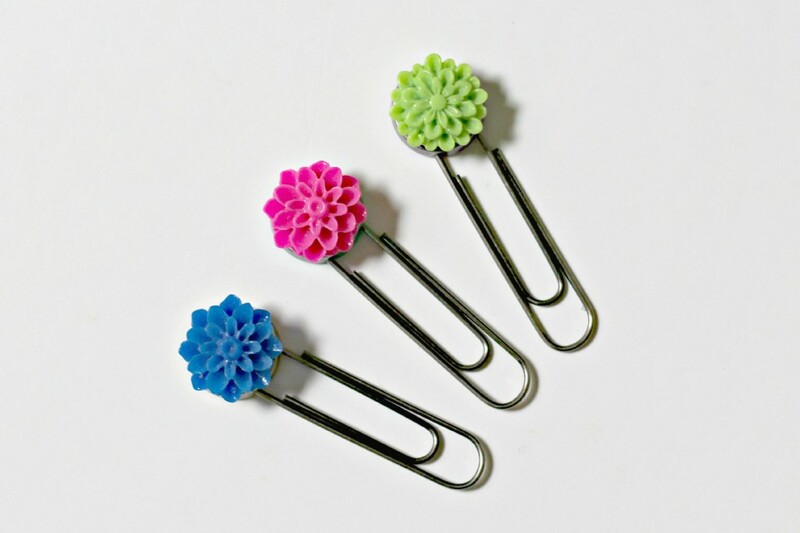 Use flowers to match the decor of their room or office or make them in the recipients favorite colors. 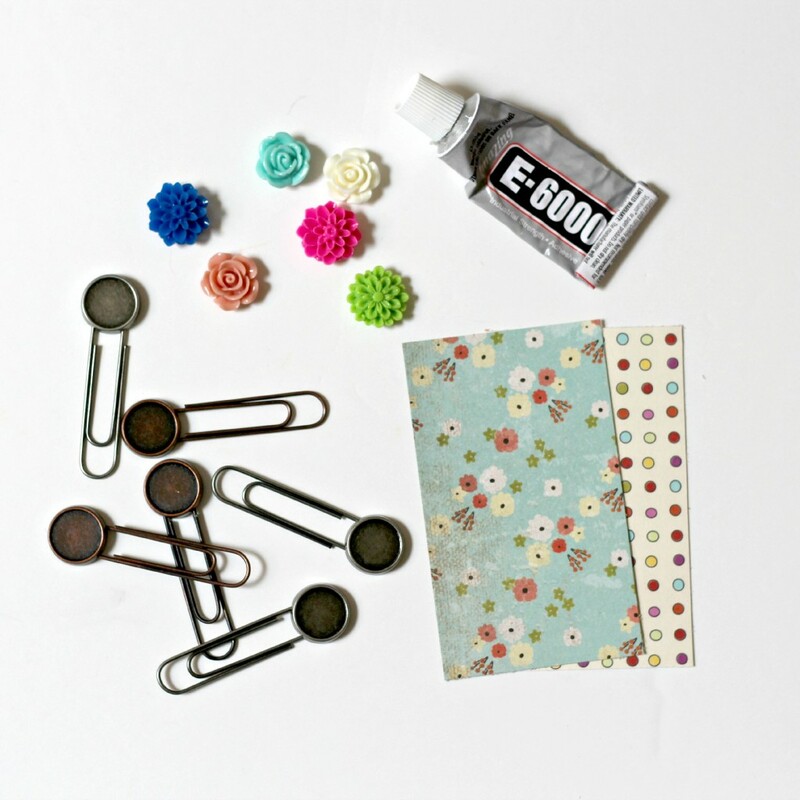 Once the glue is dry place the paper clips in a small gift bag and seal the bag shut with a decorative straight pin. You can also attach a small gift tag to the end of the straight pin. That’s it! 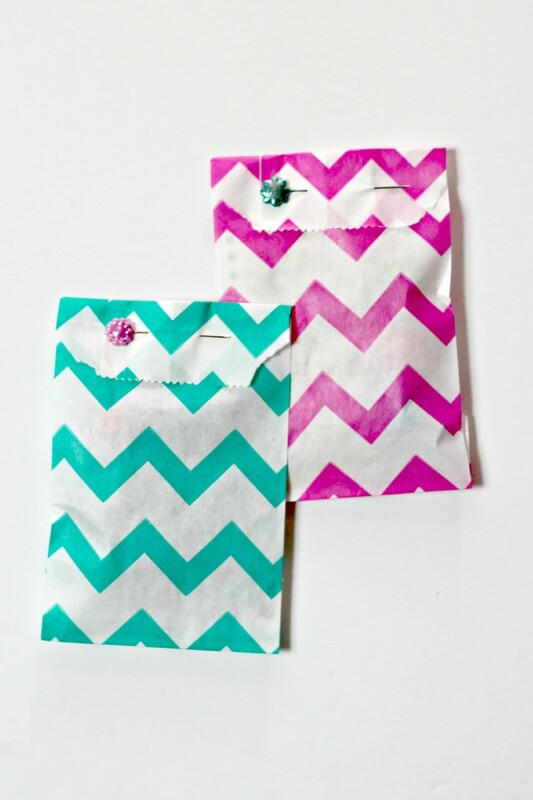 Super simple and a sweet little gift!